Southern California has many great hikes to offer, but not all are dog-friendly. Even worse, many of the dog-friendly hikes are appropriate for an older dog like our girl, Lois. 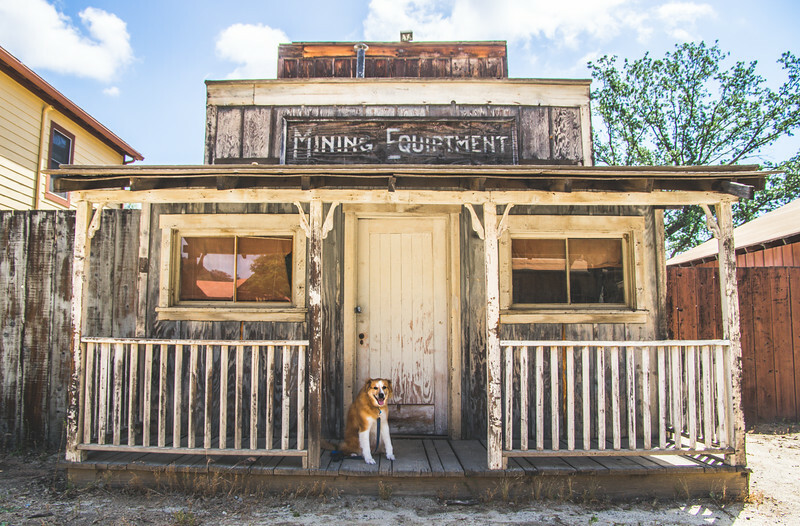 Luckily, I've found a few that are perfect for older pups, including Paramount Ranch in Agoura Hills. 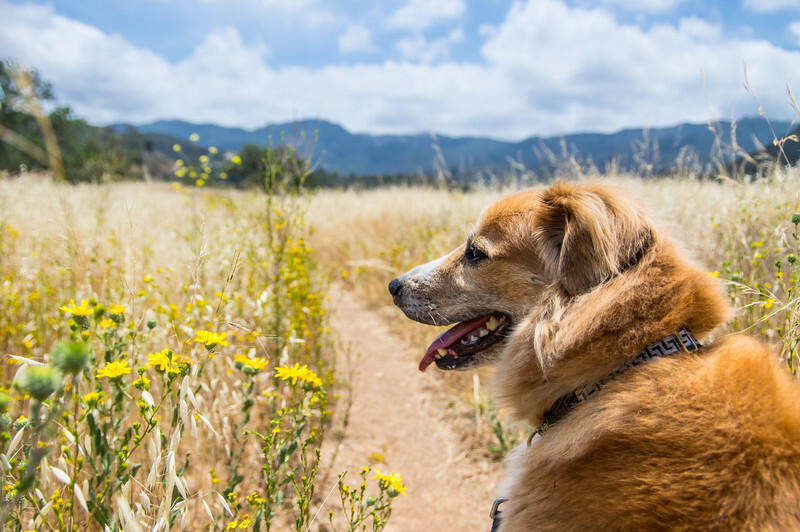 The low-impact trails and scenic setting are perfect for a weekend hike for you and your pup. And the place is perfect for taking a few snaps of your precious pet! 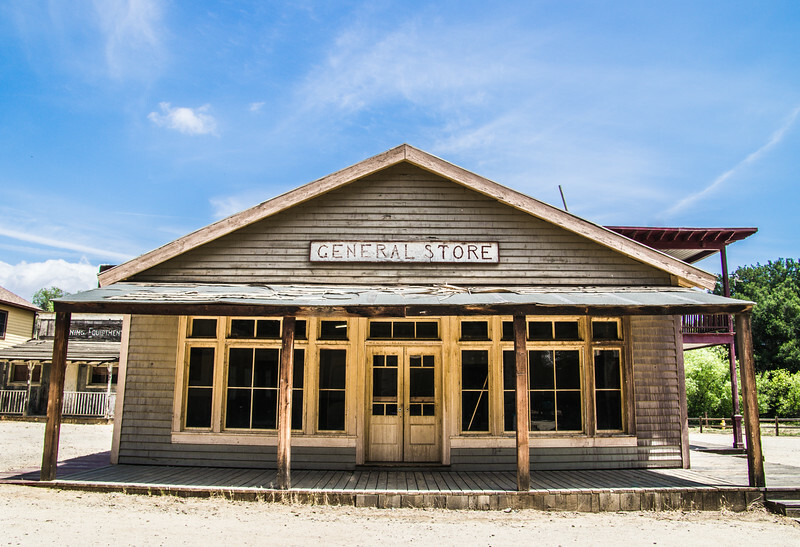 Scroll down to find out why hiking Paramount Ranch is so awesome! Nestled in the Santa Monica Mountains near Agoura Hills, CA, this scenic Southern California hike is located on an old movie/T.V. set. Purchased by Paramount in 1927, Paramount Ranch was the setting for many movies and television shows (see website for full list). This gem is now owned/operated by the National Park Service and available to the public for hikes, events and photography/filming. The site was nearly empty that day. The wide-open landscape meant other hikers could clearly be seen from a distance. I felt completely comfortable being alone in the wilderness (as close as I have gotten to the wilderness in a while). The trails at Paramount Ranch are pretty clearly marked, making it easy to navigate around the park. Lois and I opted to do some of the longer trails, wanting to take full advantage of the beautifully sunny day. Using the park map it was easy to follow the Hacienda Trail to the Backdrop Trail. We ended with the Bwanda Trail, which follows the Medea Creek back to the Western Town. While most of the trail was flat, some areas were elevated. Overall, the hike should be considered easy and perfect for families or people with limited endurance. The Town itself was fun to photograph and interesting to explore. The pup sure had fun on the shady porches after a warm, sunny walk! Several public events take place here each year, including festivals and educational programming. You can learn more about upcoming events by visiting the Santa Monica Mountains events page. 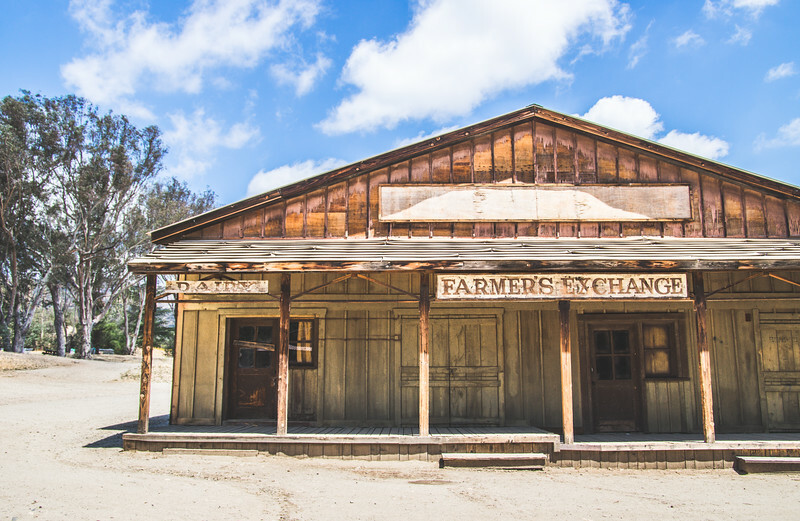 So, if you're looking for a low-impact hike, consider heading to scenic Paramount Ranch. This dog & kid friendly hike will be just what the doctor ordered...just ask Dr Lois, Medicine Dog. Check out these other fun LA activities! I love that you’re able to tell your dog “Go!! #FindYourPark! !” What a gem! And bravo to the NPS for adopting it and making it so public-friendly. She loves getting outdoors, Rob! This park is the perfect place for an old girl like mine. Not too many hills and terrain that’s easy on the old paws! It is super cool, Marta! And thanks for the sweet compliment. Lois loved it there! Really neat that it was used for tv shows and now you can go explore there! Great photos!